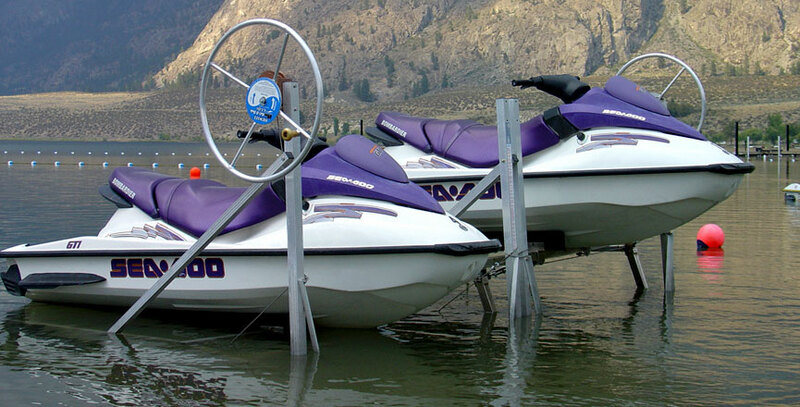 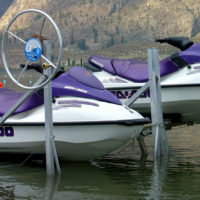 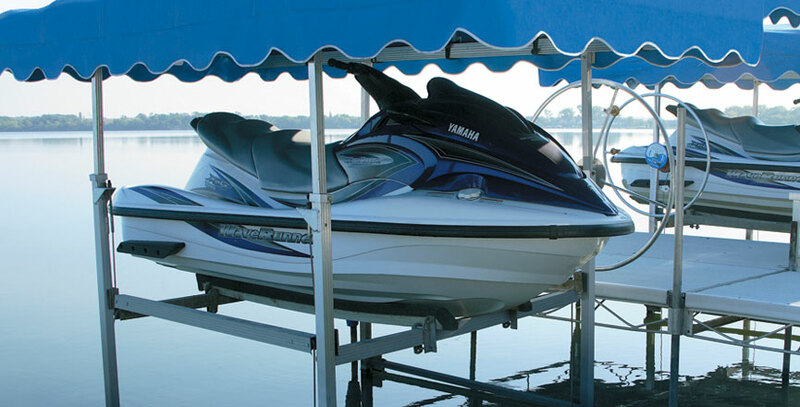 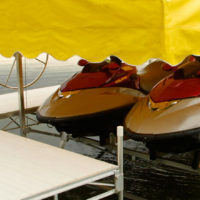 Dragging your personal watercraft or small boat across a rocky shore can ruin your hull – and your back. 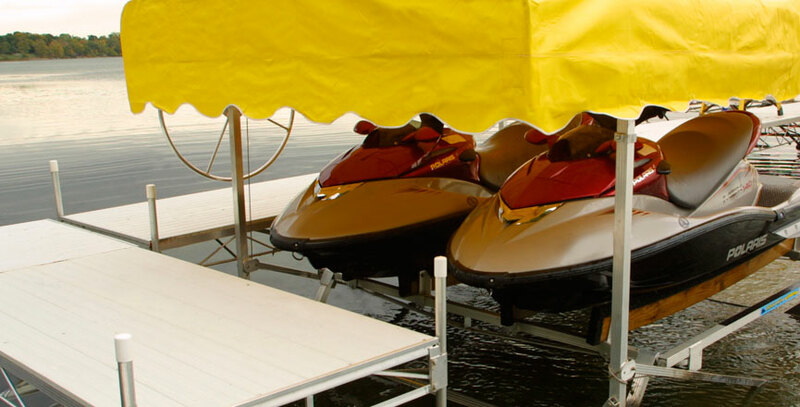 Raise and lower your light craft without strain or damage with Hewitt’s PWC lifts. 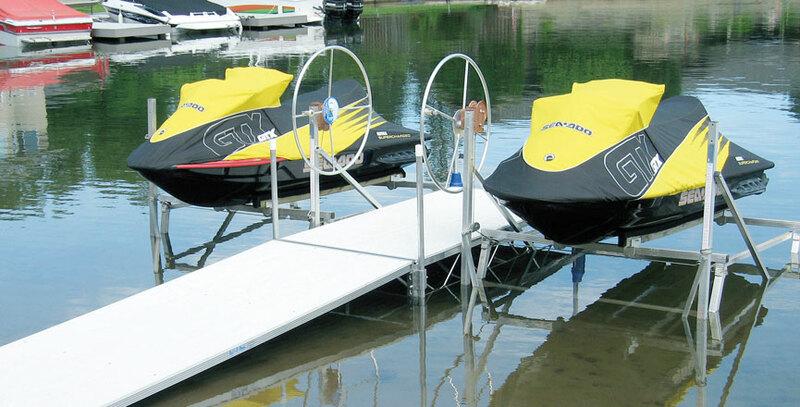 Made as a single or a double, capacities range from 1150 lbs to 1800 lbs, and all models offer the benefits of all-aluminum construction – lightweight, high strength and rust-free corrosion resistance. 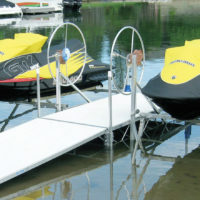 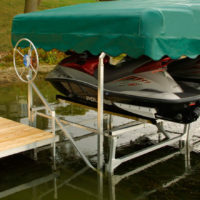 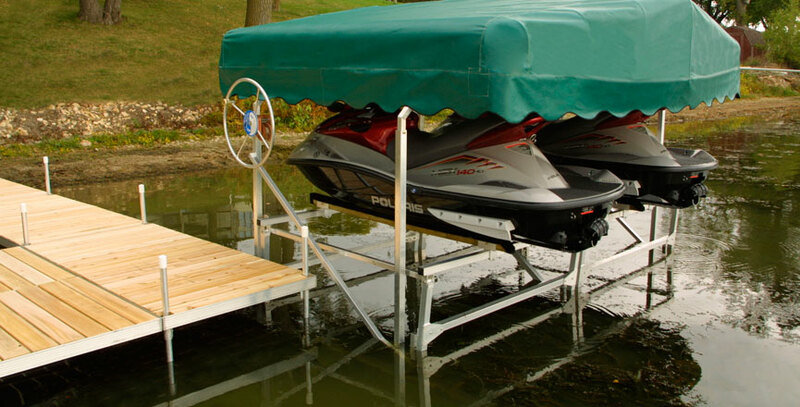 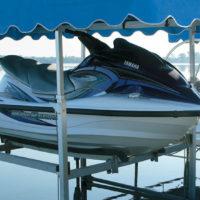 Standard features include horizontal crossbar reinforcement, self-braking winches with enclosed gears, durable acetal Delrin pulleys with stainless steel cable and adjustable bunks.